BRISTOL - The city and the Bristol Professional Supervisors Association have agreed on a new four-year contract. The union represents 48 city department heads and management-level supervisors. 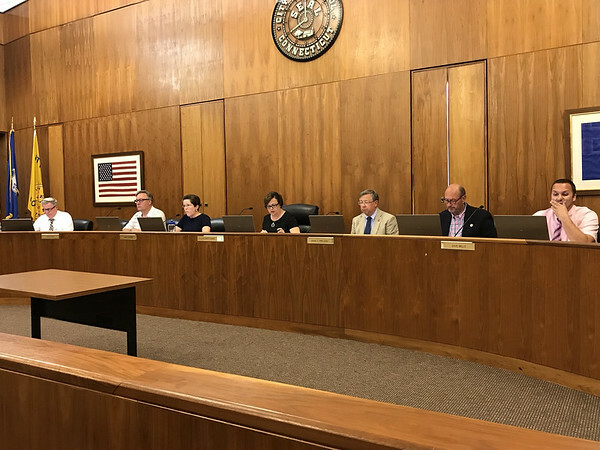 According to Mayor Ellen Zoppo-Sassu, these city employees will continue to pay “market-appropriate” premium cost share increases. They will pay 14.75 percent year one, 15.75 percent year two, 16.25 percent year three and 17.25 percent year four. Additionally, union members who retire beginning in 2020 will fund their own health savings accounts. The city will maintain the currently offered health insurance plan, but city employees who do not switch to the high-deductible health care plan in year two of the contract will have to pay the difference with a “buy-up provision” under the terms of the agreement. The new contract also institutes modified retirement benefits for new employees hired after July 2018 which changes how pensions are calculated and also puts in a cap. Zoppo-Sassu said that in exchange for restructuring their health insurance and retirement benefits, the union asked for and secured “improvements around contractual language affecting day to day working conditions.” It provided opportunities for new employees to purchase vacation time since employees have to accrue time before taking it, the ability to use some sick leave for the care or illness of immediate family members, expanded short term disability benefits, and bereavement language acknowledging step-family members. The wage increases over four years are 2.24 percent in the first year, 2.25 percent in the second year, 2.5 percent in the third year and 2.5 percent in the fourth year. Zoppo-Sassu said that the union and the city of Bristol will continue to discuss “efficiencies”, and the merging of job duties over the next year. Two BPSA union positions have been eliminated to date. Posted in The Bristol Press, Bristol on Monday, 27 August 2018 21:28. Updated: Monday, 27 August 2018 21:30.